Working life saps all my energy away but with great friends around you, the energy seems to come back even after a lethargic day at work. That's the wonder of friendship. The initial plan was to head to the beach to watch the sunset but the K session only ended at 7pm so we ended up eating at James Foo Western Food. I tell you, that place is so popular that it is over-crowded during weekdays. Rachel said it is almost impossible to go there during the weekends. Now why is it so famous? For one thing, the western food is priced reasonably. The quality of the food is really not bad too! 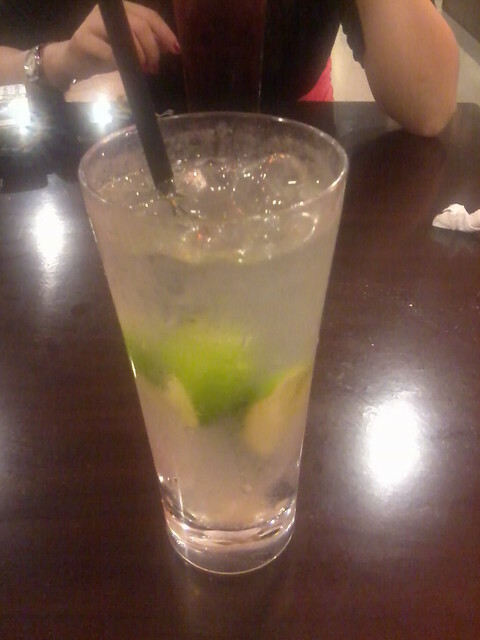 The lime juice that I ordered. The best remedy to prevent sore throat after consuming lots of black pepper sauce. 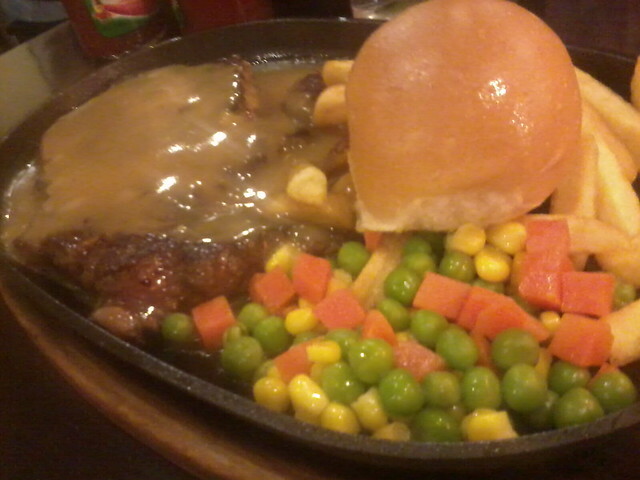 Yi Rong's hotplate of beef. We teased him saying the beef was from Hari Raya Haji since his food came the fastest. 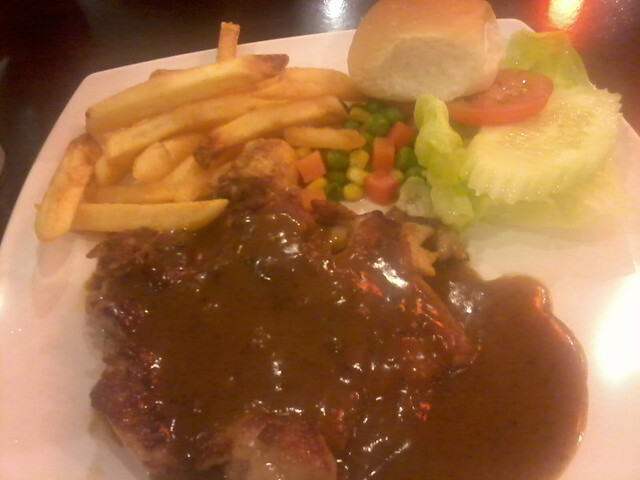 Grilled chicken with black pepper sauce. Not my first choice because my first choice was not available. They ran out of BBQ sauce. Sigh. Good thing the black pepper sauce was tasty too. We went to Hard Rock for photo session. Will upload more pictures soon! Stay tuned! Cat gave birth to a puppy! Best Groomed Dog Contest at Komtar! Yet another Saturday. Time flies!